So, being a redhead I fall into the category of looking like a boiled egg without eye make-up. and I also loath spending too much time applying colour and filling in my eyebrows. But they really make a difference to the structure of your face, and when groomed and shaped well, they frame your eyes and define your face-shape. Tinting your brows is a no brainer but also a bit of a faff keeping on top of appointments etc. 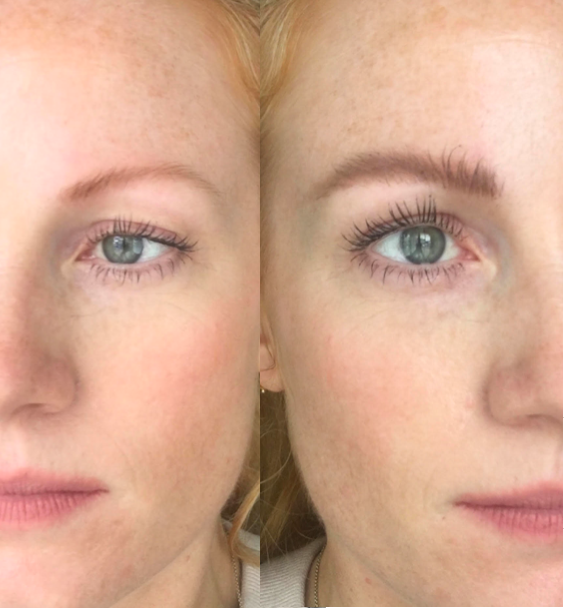 So Maybelline's genius-sounding Tattoo Brow Gel sounded like a dream. Application: Bit weird if I"m honest. It's like a gel consistency that you paint onto the brows. The application brush is a bit tricky. The key is just to go for it and apply liberally. Don't be scared and ensure you coat your brow hairs and skin that you want to be a part of shaping your brows. Apply, dry and wait for 20: Minutes that is. You can leave on for 2 hours if you want a more permanent results. I did this during the day whilst working, so had to whip it off before leaving the house for fear of going all 'scouse-brow'. Peel it off: Feels a bit odd. 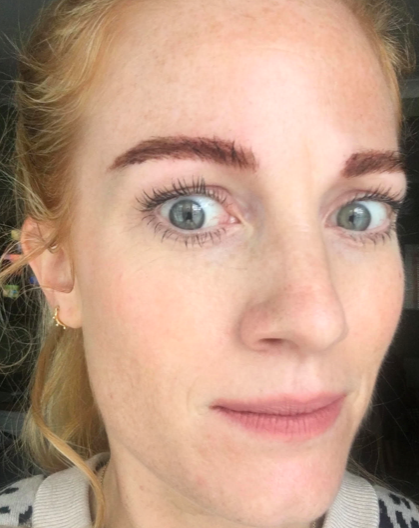 Doesn't pull the skin when you pull the dried gel covering, but does leave a nice bit of colour and shapes your brows without having to apply a pencil or brow pen. I went for light brown which works well for blondes of gingers. Results: Yeah, I liked it. easy to apply. Lasts for more like 5 days and I'll probably be less careful with the application now as I'd like to see more of a tint on my skin to give a more defined brow shape. Maybelline Brow Tint is available at Superdrug at 12.99. I've literally got the tint on and a bit of Maybelline Brow Fibre to give a bit of texture. Quick win at looking less boiled egg.